While betting on horses may seem intimidating, it bears many similarities to several different types of sports wagering. In this article, we’ll break down to key facets of how to bet on horse racing so that next time you’re at the track or browsing your online sportsbook, you’ll know how to make a wager. The biggest difference between horse racing and conventional sports betting is that most races contain somewhere between five and 12 horses, whereas professional sports games feature two teams. It is kind of like picking the winner of the NCAA Tournament at the start of the Elite 8; you’re picking the winner out of a small group. This naturally affords you a wider selection of betting options rather than betting on conventional sports. 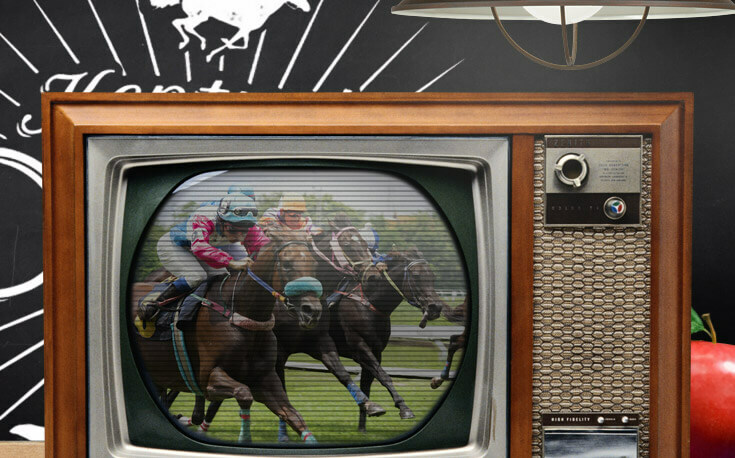 In the same way that some sports bettors prefer sides or totals, and others gravitate towards parlays, teasers, and futures, horse racing offers a variety of ways for you to bet. As with all sports betting, the type of bets that are easier to win carry lower odds, while more difficult wagers can be pretty lucrative. If you are new to sports betting, we’ve got a guide to the fundamentals. In horse racing, there are two main types of bets: straight bets and exotic bets. Straight bets are basic and easy to understand, while exotic bets are more involved and can produce massive payouts. There are three types of straight, or straightforward horse racing bets. They are pretty simple and a great way to begin betting on ponies. You guessed it, betting to win means choosing the horse that crosses the finish line first. Regardless of what type of bet you make, picking the winner is paramount to having success betting on horses. Place wagering means second. You are betting on a horse to finish second. However, if the horse wins, you also get paid. Since it is easier to guess a horse that might finish first or second instead of just first, the payouts for betting place are usually half or less than what they would be on a win bet. A horse that shows is the third place finisher. Similar to place betting, if you bet your horse to show you will make a profit if he or she finishes first, second, or third. Payouts tend to be very low. Sometimes a correct $2 show bet will pay back $3 or less, making for a very small profit. There are two types of exotic bets: horizontals and verticals. Horizontals require you to pick the winner of two, three, four, five, or six straight races. Verticals challenge bettors to pick the exact order of either the winner and second place finisher; the winner, second, and third place finishers; or the first four horses in a given race. Of course, the payouts associated with verticals are often extremely high, given that the likelihood of getting them right is quite low. The original exotic bet is essentially a two-race parlay. In order to hit the daily double, you must pick the winner of two straight races in order to cash your ticket. One step greater than the double, the Pick 3 is selecting the winner of three consecutive races. You guessed it, pick the winner of four straight races before the first of the sequence begins. Select the winner of five races in a row. You must pick the winner of six straight races in order to cash what many believe is the toughest bet in all of racing. An exacta bet is when you pick the first and second place finisher in a given race in the precise order that they cross the line. To hit a trifecta, you have to select the first three finishers in a single race, in order. Correctly pick the order of the first four finishers in one race. If you don’t know how to read sports odds at all, we’ll direct you to our beginner’s guide to reading and understanding sports betting odds. If you are handicapping and trying to get a feel for the odds on various horses, the best gauge to check is the morning line. It is published in the program, racing form, or online at your sportsbook. An expert guesses what the final win odds will be for each horse in each race. Odds shift as bets come in, but it is a pretty good estimation. As for guessing what other bets will pay, exactas and daily doubles frequently flash up on the television screen or are available online as probable prices. All other bets are a bit of a guessing game. As a general rule of thumb, exotic bets that begin with horses who are longshots (for example, an exacta with a 10/1 shot winning or a Pick 4 that doesn’t include a lot of favorites) will pay well, while exotic bets with mostly the top choices pay significantly less. There are no posted odds for exotic wagers because there are too many variables to account for. What would a chart that gave you every possibility in a Pick 3 look like? If there were eight horses that can win each race that would lead to 512 possible prices. However, for win betting, the guide below is an easy way to quickly look at the board, read the odds, and know what you’ll get paid. The two major differences between sports betting and horse racing wagering both revolve around the way the house earns its share. Sports betting has fixed odds (Giants +3/Cowboys -3) and juice or vig (a percentage that bookmakers take out of every bet). Typically you wager $11 to win $10 (-110) which equates to a 10% takeout. Once you lock in the bet, the odds do not change. Horse racing betting uses pari-mutuel odds, which means you are betting against everyone else who is wagering on a race or series of races, not the house. Odds fluctuate as people make their bets. All win bets are pooled together. Exacta bets are all in a separate pool. Pick 5 money is collected together and then allocated to winners out of that pot. Depending upon the type of bet and the track, the house takes somewhere between 10-30% off the top, and the remaining money is divided proportionally among those who have winning tickets. How Do Pari-Mutuel Horse Racing Odds Work in Practice? Say there is $100,000 in the win bet pool and the house takeout is 15%. That means there is $85,000 available to be won ($100,000-$15,000 = $85,000). 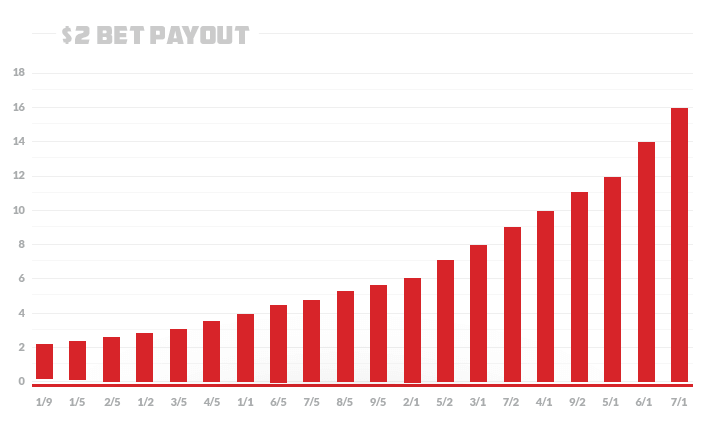 A payout is calculated by subtracting the amount of winning dollars from the total pool, then dividing the remaining pool by the amount of cash bet on the winner, and finally adding back in the winning bet amount. If the winning horse is the favorite, and had $42,500 bet on him we subtract ($85,000-$42,500 = $42,500) then divide ($42,500/$42,500 = 1 (1/1 odds). Take our $2 bet and multiply by the odds ($2 x 1 = $2) and then add in the original bet ($2 +$2 = $4) and you get the payout. That leaves $85,000 to be divided among those who have winning tickets. If the winning horse has $42,500 bet on him, half the payout pool, he will be 1/1 (or even money). If he wins those who bet on him will earn double what they put in (the other 50% of the bets lost and are used to pay the winners). Let’s use the same example, but with $100,000 in the pool and 15% going to the house. If a horse has $850 bet on him to win finishes in first place, the horse is 100/1 because $850 is 1%of $85,000. The payout is huge because almost the entire pool consists of losing tickets. There are so few with winning tickets, therefore their payout is big. Horse racing is a year-long sport, but spring and summer tend to bring the best racing. While the biggest race of the year is in May, the most celebrated meets take place in July and August. There are a couple of very big dates in the fall and winter too. For casual fans, the first Saturday in May is the one day to mark on the calendar. The Kentucky Derby has been run at Churchill Downs in Louisville, KY for almost 150 years. The Kentucky Derby, or Run for the Roses, crowns the champion three-year-old and is the most prestigious race of the year. 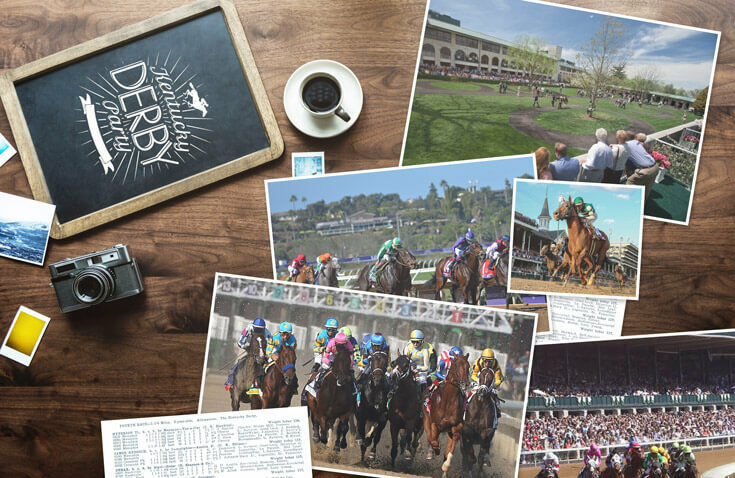 With 20 horses competing, the Kentucky Derby is the largest field of the year. The Kentucky Derby is the first leg of horse racing’s Triple Crown. Captured only 13 times in history, the Triple Crown is earned by winning the Kentucky Derby, Preakness Stakes (third Saturday in May at Pimlico Race Course in Baltimore), and Belmont Stakes (second Saturday in June at Belmont Park in New York). For almost four decades, between Affirmed winning in 1978 and American Pharoah’s triumph in 2015, there was no Triple Crown winner, but Justify won all three races in 2018. Horse racing is exciting day in and day out. However, there are only three shrines to the sport in America, think what the Yankee Stadium is to baseball, that host exceptional racing in terms of atmosphere and ambiance both on and off the track. Both Saratoga in upstate New York and Del Mar in California run upscale meets in July and August. Whereas Keeneland in Kentucky runs in April and October. The first weekend in November is the culmination of the horse racing year. The Breeders’ Cup World Championship changes venues and is run over two days. It features 14 races that crown champions in various classifications (best female horse, best two-year-old horse, best sprinter, etc.). Run the last Saturday in January at Gulfstream Park in Florida, the Pegasus World Cup is the richest race in the U.S., with a total purse of at least $9 million. Though it is positioned at the start of the calendar year, it is really more of a bonus to the previous year as top horses from the Breeders’ Cup Classic usually participate. Become an Educated and Sophisticated Bettor Today! Are you close to making your first bet on sports, or are interested in stepping outside your comfort zone, but feel you still need some knowledge? Not to worry, that’s what we’re here for. With our guide, you can learn everything you need to know about how to bet on sports!